"The walls which divide us, do not reach up to Heaven." The tensions between Russia and the West over Ukraine continued to deepen throughout 2014. In this situation, the courageous work of many on behalf of a negotiated solution is praiseworthy. Among those who have been a force for reason and freedom for an entire lifetime is Dr. Constantin Sigov, a leading Russian Orthodox intellectual from Kyiv who is Professor of Philosophy and Religion Studies at Ukraine’s National University of Kyiv-Mohyla in Kiev. In recognition of his contribution to peace in Ukraine, in Europe, and in the Church, we are pleased to honor Constantin Sigov as one of our “Top Ten” persons of 2014. One of Sigov’s lasting contributions has been his founding and leadership of the St. Clement’s Center in Kyiv. The Center was founded in 2007 in Kyiv with the blessing of His Beatitude Volodymyr, Metropolitan of Kyiv and All Ukraine. The Center was inaugurated on the feast of St. Clement of Rome on December 8, 2007. The Archbishop of Poltava and Myrhorod, Filip, and Cardinal Walter Kasper, among other participants, attended the inauguration. The main goal of the Center’s activity is to contemporize and disseminate the spiritual heritage of St. Clement of Rome and Sts. Cyril and Methodius. In September 2009, Sigov gave a talk at a conference in Freising, Germany, on Christian ecumenical dialogue, and explained how the Center came into being. “In December 2007, Cardinal Walter Kasper inaugurated the ecumenical St. Clement’s Center in Kyiv,” Sigov said. “He was accompanied by the Archbishop of Lviv, Mieczysław Mokszycki, and the Apostolic Nuncio in Ukraine, Archbishop Ivan Jurkovi. The Orthodox participants of the inauguration were the Archbishop of Poltava and Myrhorod, Filip, and the former Chairman of the Department for External Church Relations Archimandrite Cyril (Hovorun). "In the middle of winter, people heard spring news. "The sun was shining, as if giving a special blessing to that time in December when days were the shortest in the year. 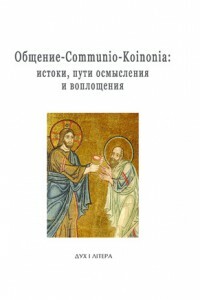 Constantin’s St. Clement’s Center has published many Catholic works of theology in Ukrainian. It has also sponsored a Summer Institute each year bringing together as many as 150 young people. “In 1988, the most radical antithesis to the Soviet myth, which claimed to have started a new era of a new world with the revolution of 1917, was the celebration of the 1,000th anniversary of the baptism of Kyiv Rus' during the reign of prince Volodymyr in 988. The death of the Soviet rulers of Brezhnev’s generation revealed the futility of their attempts to ‘cancel’ the 1000-year-long tradition. "Twenty years later, on July 28, 2008, the Patriarch of Constantinople, Bartholomew, and the late Patriarch of Moscow, Alexiy II, came to Kyiv to celebrate the feast of St.Volodymyr. 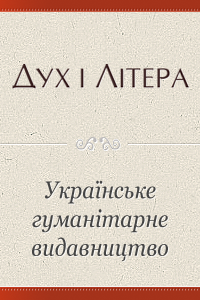 This day was announced as the Day of Remembrance of the Baptism of Kyiv and proclaimed a state holiday in Ukraine. Today the interpretation of the tradition of St. Volodymyr may give rise to disputes among the pretenders to its inheritance. 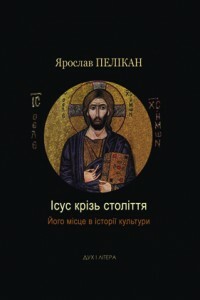 Beyond the disputes, however, remains Kyiv’s identity as this fruitful branch growing among the family of Christian cultures. For his work in reconciling Christians of the Orthodox and Catholic traditions, and for his efforts to make Christian faith a vibrant reality in the modern Europe of our time, we are pleased to honor Constantin Sigov as one of our “Top Ten” persons of 2014.